It was early morning following a big storm as I hiked up the Colorado River Trail. The world was bright green and the air was fresh and moist. As I came around the corner I found this magical scene. 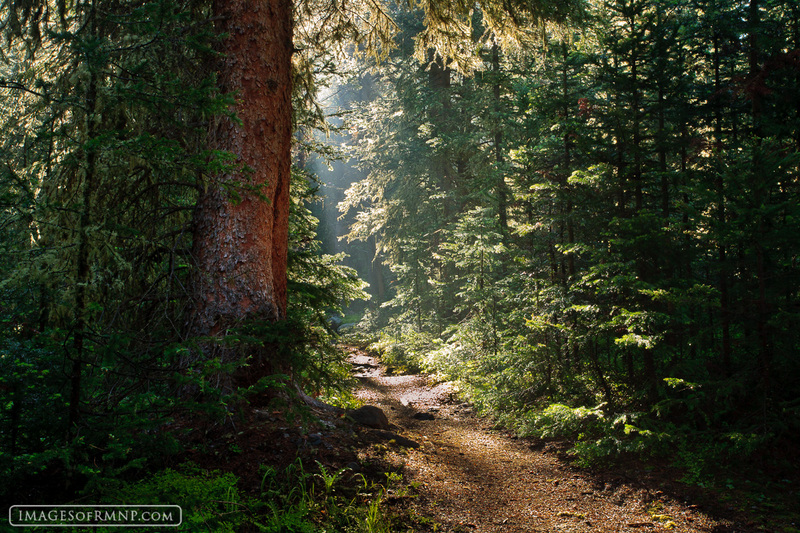 The sun began to break through the trees, lighting the trail and turning the moisture into a mysterious mist. It filled me with peace while at the same time calling me onward into the forest. Photo © copyright by Erik Stensland.